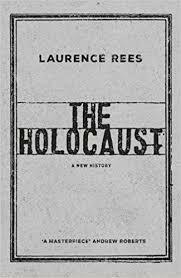 The Holocaust has become, without question, one of the most written about events of the twentieth century. Research papers on the Holocaust can focus on many aspects of the tragic occurrence. First you must decide what tragic aspect of the Holocaust you want to overview. It can be the Jews, homosexuals or the concentration camps. Another interesting way to look at the Holocaust is from the point of view of those that worked for the Nazi Party in the Concentration camps. You can also look at the historical background of the Holocaust or the end result of the Holocaust in terms of its devastation. By the time World War II ended nearly 12 million people had been killed, a full half of them Jewish. At first, these victims were put into Ghettos, prisons, and work-camps by the Nazi government. But, in or around 1941, Hitler issued a dictum that all Jews should die. This, “Final Solution”, was the impetus behind the death camps at places like Auschwitz and Buchenwald. These were places designed to eliminate life in as great a volume with as little an expenditure of resources as possible during the rise of the Nazi party. The Nazi party took power over Germany in 1933. By 1939, the Nazis had begun sending the people marked “inferior” to the Aryan race that Adolf Hitler had idealized to concentration camps and imprisoning people in ghettos. Many people died from starvation, neglect, and illness in the ghettos, since the people living there were often cut off from food rations, heat sources, and medicine, as it was Hitler's belief they were parasites. While the purpose of the ghettos was to isolate and demoralize the Jewish people, concentration camps existed for the purpose of working the Jews and other unwanted members of Nazi society to death and dehumanizing them either through overwork, starvation, or sheer brutality. Extermination camps differed from concentration camps in that they existed for the sole purpose of murder. The most notorious of these extermination camps was Auschwitz, where people were murdered en masse in large gas chambers. Life in these camps was, to say the least, bleak and without hope. The targeted populations of people were also forced into hiding, to disguise themselves, to deny their identities so as to survive. Authors who have recounted these experiences have done so with a truly broad range of points of view, narrative style, time sense, and emotional intensity. Two such writers, Elie Wiesel (Night) and Ahron Appelfeld (The Iron Tracks), have created works which provide an insight into the many different facets of the Holocaust experience. These two books are incredibly different in style, content, and emotion. In examining both works, it is possible to see that, indeed, there were commonalities of experience not just in the process of being held prisoner, but in the emotional, mental, and spiritual changes that occurred. Where Night creates a picture of the holocaust from the very clear and detailed memories of a young boy, Iron Tracks examines how the experience shaped the life of a man long after it had ended. The ideological focus of both works is, too, different. Wiesel’s book is about the immediate process of losing one’s faith and of attempting to manage life as it is being rapidly and irreversibly changed. Appelfeld’s book is a work focused on what can happen when that loss of faith, and the breaking of the soul, goes without repair. They were the true picture of what Hilter thought of the Jews. The Holocaust lasted from 1933 until the end of World War II in 1945. It is believed that nearly six million people died as a result of the Nazi’s “Final Solution”, though some estimates are much higher. The “Final Solution” refers to refers to Hitler’s detailed plans to extermination the Jewish people and eradicate them from existence in Germany. The methods employed for this destruction included not just deportation to ghettos, concentration and extermination camps, but also sterilization. The majority of those forced to undergo sterilization were people classed as mentally or physically handicapped as well as individuals of African heritage. The outbreak of World War II in 1939 caused the Nazis to accelerate their plans of Jewish annihilation. When it became clear that to the Germans that they were losing the war, and it became imperative to the regime to try to conceal the activities of the “Final Solution” and to murder all the remaining Jews. It was to this end that the death marches began. Despite these measures, it was impossible for the Nazis to conceal the mass murder of millions from the world. By the spring of 1945 the Nazi regime collapsed and the Allied Forces brought a halt to the “Final Solution”. According the the Association of Holocaust Organizations over a period of approximately twelve years, millions of people lost their lives due the Nazis desire for a “pure” race. It was not only the Jewish people who were murdered, but all of those who did not fit the Nazi ideal of what a true German should be like. Despite all of the Nazi’s efforts however, they ultimately failed. People survived to tell the tales of horror they suffered at the hands at the Nazis. People survived the ghettos, the concentration and extermination camps, and other efforts to destroy them. Though the Holocaust exacted a terrible toll on humanity, hopefully the knowledge of what was perpetrated will prevent such an atrocity from happening in the future. Pius XII and the Holocaust Research Papers delve into the role of the church and state relations between the Roman Catholic Church and the international state. World War II was a definitive time in world history. Nazi Germany's Negative Anti-Semitism Propaganda - How influential was the Nazi Germany's Negative Anti-Semitism Propaganda towards the Jewish people before and during the Holocaust. German Public Knowledge of Concentration Camps explores Nazi Germany and whether or not their citizens knew of the death camps of Hitler. The Catholic Church and Nazi Germany research papers write about the stance of Pius XII on the Holocaust. Schindler's List - There is now a fairly large body of cinematic depictions of the Holocaust. Nazi Medical Experiments research papers look at the experimental medical procedures done to Jew, Gypsies, and handicapped people that were in concentration camps. Hitler and Communism - Hitler was instrumental in stopping the spread of Communism. Adolf Hitler's Death research paper explain what lead him to commit suicide and what was done to his remains. Adolf Hitler's Life research papers discuss Hitler's life, beginning with his birth and ending with his final act of suicide. Paper Masters writes custom research papers on The Holocaust and discusses the different people involved, and their fate.